Christmas is just 4 short days away! 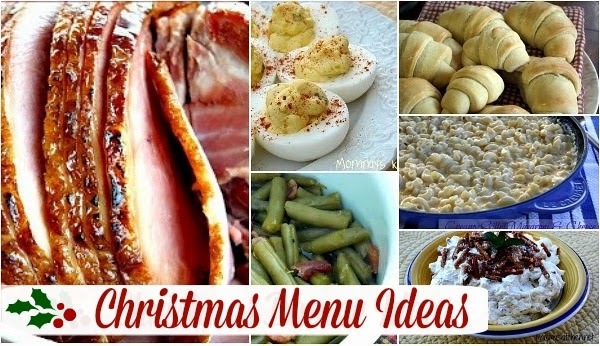 Have you planned out your holiday menu? I have mine all in check, and all I need to do is pick up a few more items to complete my menu. In case you're still looking for a few menu ideas I complied a list of my favorite holiday dishes below. I have everything from Christmas morning breakfast ideas, meats, side dishes, rolls, fruit salads, and desserts. Hopefully you'll find something you like. Don't forget to bake some cookies for Santa! Thank you for your lists of favorites. Just hubby and myself so our meal will be very simple. I always love to get an email from you because I know I'm going to find at least one recipe to pin. This morning I hit the jackpot! You have outdone yourself on this post. I'm glad there isn't a limit on Pinterest! Thanks for putting together such a wonderful list of delicious and easy recipes. Merry Christmas and Happy New Year to you and your family! Merry Christmas Cynthia & Colleen!!! Thanks so much for all the great recipes! I hope you and your family have a very Merry Christmas! Your Christmas Menu sounds wonderful!